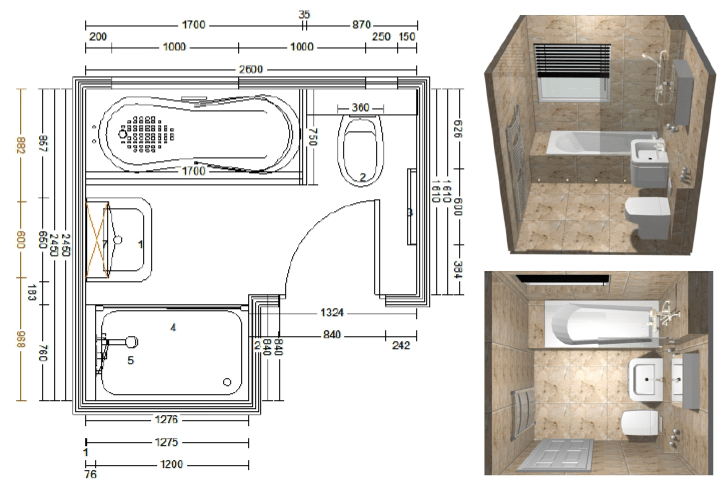 Our bathroom CAD design uses computer software to show you what your new bathroom will look like. At Alan Heath and Sons we use fantastic technology to plan your designer bathroom, en-suite, shower room or cloakroom. We’ll show you the plans and elevations using brilliant revolving 3D images, so you’ll see exactly what your renovation will look like. Our years of experience tell us this is the best way to help you understand and imagine your new bathroom design. We can change and modify your design if you need us to, so if situations change it allows us to move with them. A picture speaks a thousand words and is far more effective and a lot simpler than listening to a plumber just telling you what he’s going to do. Forget the free online planners! 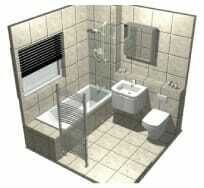 Online you’ll find design packages that allow you, the home owner, to plan your own bathroom. However simple it is to put generic items onto a grid, it simply doesn’t replace our decades of experience in design and installation. Our expertise allows us to show you what does and doesn’t work. Just because it fits doesn’t mean it will be user-friendly and it doesn’t mean it’s the best layout for you and your lifestyle. We have all the flair and imagination necessary to make the room functional, airy, light and elegant, giving you your own stylish retreat. Feel free to try the free online tools available and we’ll show you why our expertise beats a computer program hands down every time! Read our top tips for designing your bathroom on our blog here. We’re old-fashioned at Alan Heath and Sons when it comes to people. Of course we will always be delighted to reply to your emails and calls, but we love meeting and greeting even more. We’re a friendly team and we’re totally dedicated to your dreams and aspirations for a new luxury bathroom. Once we’ve met we’ll have a much better idea where to start and the CAD design will be all the better for it. Our Coventry showroom is our hub and warehouse combined so you’ll find everything you need there. Come and see our design service for yourself – you wont be disappointed.